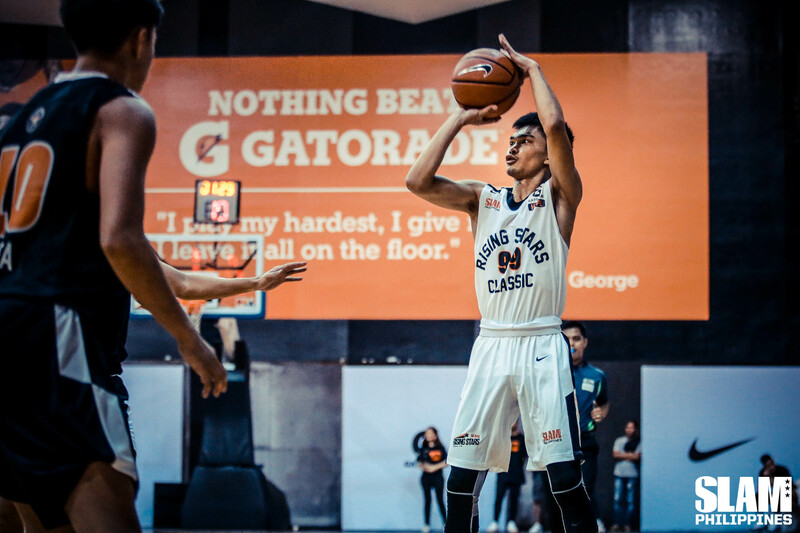 Last year, Joel Cagulangan was named as a SLAM Rising Star, but he wasn’t able to play in the game because of a prior engagement. This year, Joel almost missed playing the SLAM Rising Stars Classic once again. 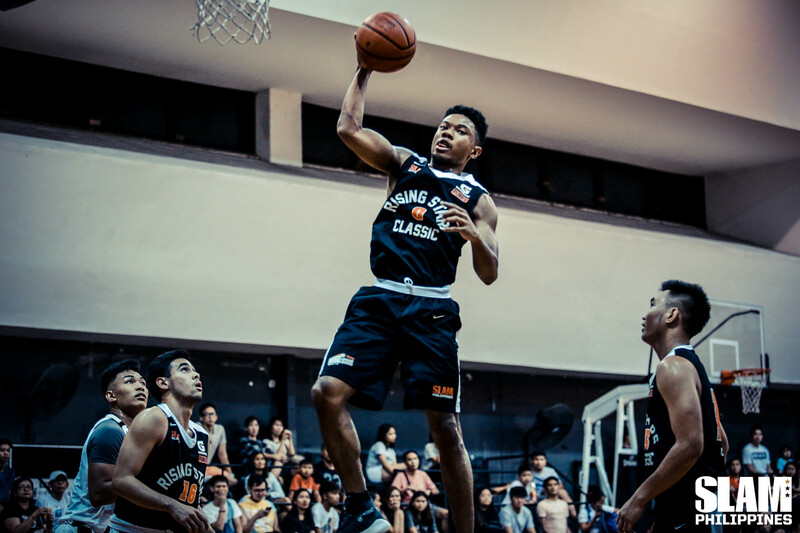 The star point guard from LSGH was recovering from an injury he suffered in the offseason. He was supposed to just sit on the bench and cheer his Team Punk teammates on. Instead, Joel ended up leading the charge in the final minutes of the game to push Team Punks to a 76-74 win over Team Hype. The run started with four minutes left in the game and Team Punks down by two. Joel got the ball on the right baseline and drove to the hoop for a reverse layup to tie the count. In the next possession, Joel intercepted a Forthsky Padrigao pass meant for Gio Chiu. He forwarded the ball to Gerry Abadiano who scored easily on the break to give his team the lead. Forthsky immediately made up for his mistake by banking in a midrange jumper to tie the game with a little over three minutes left in the game. But at that point, Joel would not be denied. After both teams traded missed threes, Joel brought the ball down and stepped into a three-pointer to give Team Punks the lead. In the next offensive possession, Joel made his defender pay for going under the screen with a cold-blooded pull-up three to give Team Punks a six-point lead with two minutes left in the game. The game wasn’t over at that point. Team Punks had problems with their free throw shooting and ball possession, keeping the door open for Team Hype to make one last run to try and win the game. 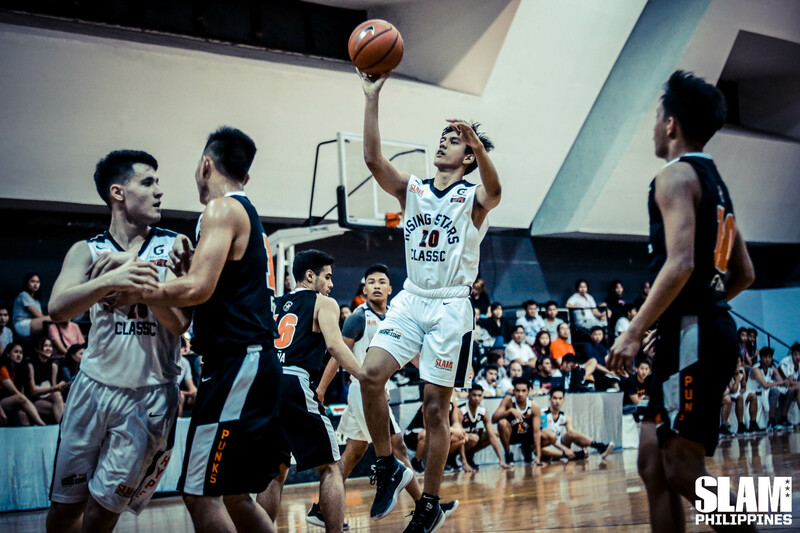 With less than 20 seconds left in the game, Team Hype got the stop and Joem Sabandal drove coast-to-coast to cut the deficit down to just four. Team Hype immediately fouled Mark Nonoy to stop the clock. Mark missed both free throws allowing Team Hype to run a play to cut the lead further down. They tried to run a play for NCAA Finals MVP Paolo Hernandez. But he missed the three. Thankfully, Adam Doria was there for the quick put back to cut the deficit down to just two. Team Hype was able to successfully pressure the inbound pass in the ensuing possession, leading to a turnover that would give Team Hype the ball under their basket. Team Hype drew up a solid play where Miguel Tan popped out after setting a screen. Miguel got the ball on the inbound but rushed his shot as the attempt fell way short. Team Punks escaped with the win. Joel was awarded the MVP of the game. He scored or assisted the last 10 points of Team Punks. He finished with all-around numbers of 10 points, four rebounds, five assists and no turnovers. “Yung mindset ko lang, papunta dito is makatulong lang sa team. Kahit support man lang, sana makatulong,” said Joel about his approach as an injured reserve coming into the game. When his number was called, Joel delivered. “Coach, Ready naman ako e,” he said when asked by Coach Gian Nazario about playing. Forthsky led Team Hype with 16 points. He showcased his basketball IQ all throughout the game. He consistently found spaces to drive to the basket for short floaters and quick layups. His back court partner, Joem added 14 points. Early in the game it was Team Hype that took a quick lead. Dan Arches dropped all of his eight points in the first period, hitting two big threes to break the slow start. 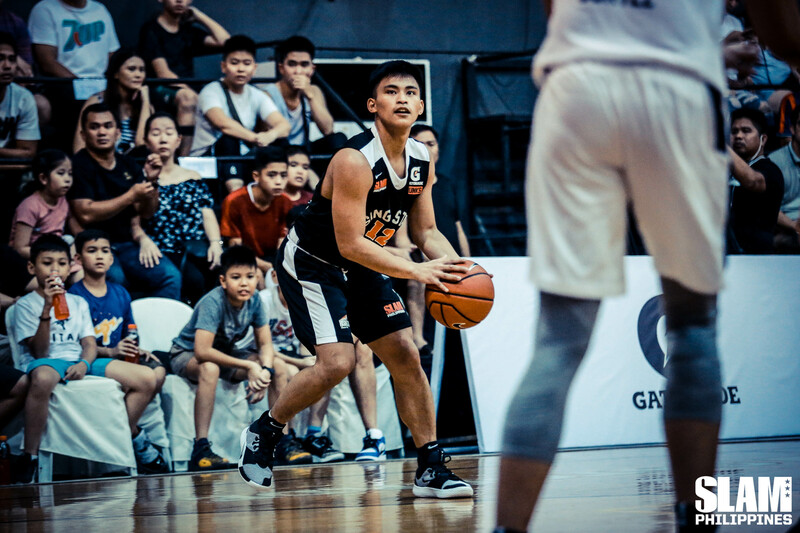 Royce Alforque was a spark off the bench. He zipped around the court for steals and fast break buckets to push Team Hype ahead. In the second quarter, Aaron Fermin bullied his way in the paint. He scored repeatedly inside and even dropped a three-pointer to get Team Punks back in the game. Aaron’s inside game was complimented by the outside shooting of RJ Abbarientos and the quick slashing of Mark. Aaron finished with 10 points while RJ and Mark had nine points each.